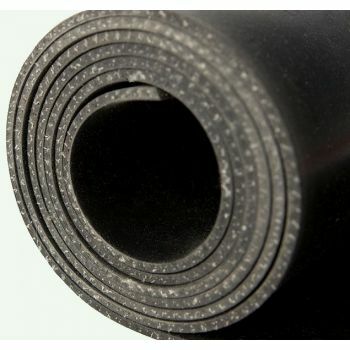 Cloth inserted EPDM rubber is a versatile polymer which allows a high degree of variation in compound design for both general and speciality purposes. Reinforced EPDM rubber sheet can be referred to as EPDM insertion, supported EPDM sheet and EPDM engineered fabrics/textiles. The cloth inserted EPDM material gives the polymer added dimensional stability in both directions. It is suitable for manufacturing of rubber diaphragms. From a manufacturers point of view, they share a high degree of technical similarities. PDM Cloth Inserted rubber is made up of smooth EPDM rubber with a fiberglass cloth insert, added incrementally throughout the thickness of the material. This process gives the rubber added durability and a higher degree of strength under hot or cold loads. Fabric reinforced EPDM is primarily used in gasketing applications as a high strength diaphra..